There are plenty of frivolous time-management games out there, from Zynga's Farmville to TeamLava's Fashion Story. But a new casual game I saw here at the Game Developers Conference actually has a message: "Help save lives, be an organ donor!" Doctor Transplant is meant to promote organ and tissue donation in a fun, casual, social-gaming sort of way. On the surface, it's just like many other social games--you're the proprietor of an organ transplant center, and you level up by completing minor goals: purchasing equipment for your center, playing mini-games, and calibrating your machines in real time. Machine calibration is the equivalent of plant-growing (in Farmville) or selling clothes (in Fashion Story). 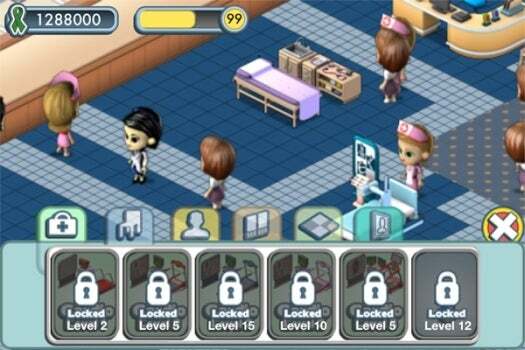 The premise of the game is that you have to keep your machines in working order so that you can service all of your center's patients effectively. 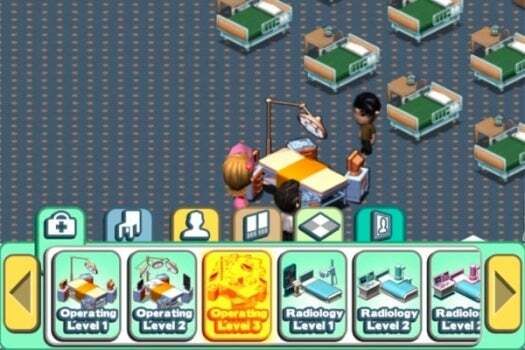 But Doctor Transplant isn't all mini-games and souping up your hospital--it's also got a learning component. When you tap on machines in the game, you'll get information--not just about what the machines are and what they do, but also how you can help by signing up to be an organ donor. The game will also incorporate links to the Doctor Transplant website, as well as a U.S. map so that players can find their local state registry. The developers hope that this will create a "call to action" that's conveniently embedded in a fun, casual game. The game is a collaborative project between MogiMe, Inc., the University of Pittsburgh, and the Center for Organ Recovery & Education (CORE). It’s supported by a Federal Grant from the Division of Transplantation, Health Resources and Services Administration, of the U.S. Department of Health and Human Services. Doctor Transplant will be available on iOS (in April) and Facebook (in May). There's no word on whether it will eventually hit the Android Market--as MogiMe CEO Geraldine Yong told me, it all depends on what the conditions of the Federal Grant are.